Concluding Bad Faith & Fire Insurance Claims: 5 Warning Signs to Know, here are a few more signs of bad faith when it comes time to seek compensation for the damage caused by an electric blanket fire. 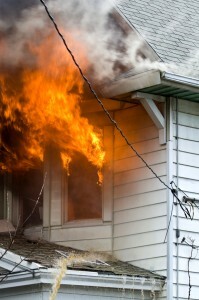 If you notice any of these signs of bad faith when submitting a fire insurance claim to your insurer, don’t hesitate to contact the Law Office of John Gehlhausen. Sign 4 – The insurer is claiming that your negligence caused the electric blanket fire associated with your claim. Another way insurers may try to get out of paying policyholders for their valid electric blanket fire claims is by pinning the blame for the fire on the policyholder (as, in many cases, if the policyholder’s negligence caused the accident or damage, insurers will be off the hook for paying them compensation). If you find that an insurance company is trying to blame you for a home fire and, in so doing, has denied your fire insurance claim, don’t accept the insurer’s denial as the final outcome of your case. Instead, hire a lawyer to help you defend your rights and challenge insurers so you are able to secure the full amount of the compensation to which you are entitled. Sign 5 – The insurer is contending that some of the damage associated with your claim predated the fire. With this type of insurance bad faith practice, insurers may try to allege that some (or possibly even all) of the damage associated with your claim was NOT caused by the electric blanket fire. Instead, as insurers may try to argue, the damage existed before the fire and, therefore, will not be included in your claim. Although this can be a way for insurers to try to weasel out of paying people the full amount that they deserve for their electric blanket fire claims, the fact is that there are ways to prove insurers wrong – especially if homeowners have been diligent about keeping insurance logs and home maintenance records.